Bij Top Gear zijn ze altijd in voor leuke test’s, dit keer 2 modellen uit 1 auto familie en niet de minste, n.l. 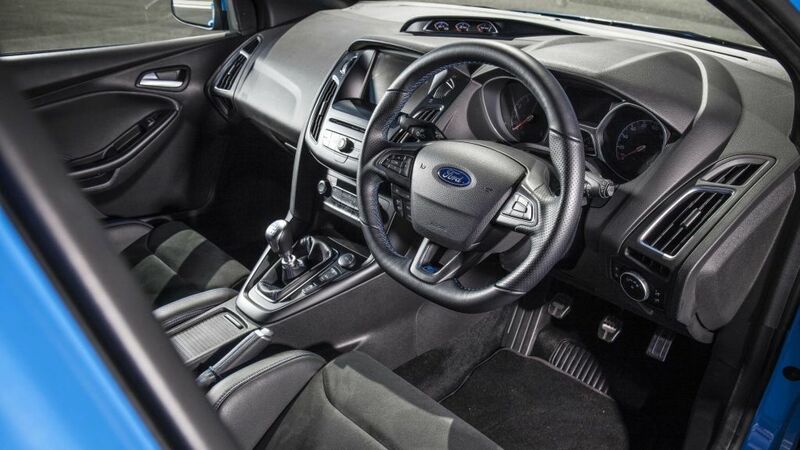 uit de Ford Performance Range. 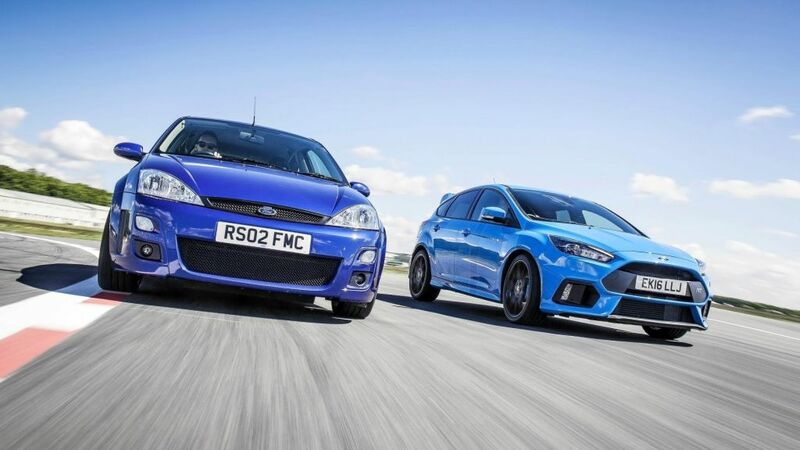 Ze zetten ze de Ford Focus RSI tegenover de Ford Focus RSIII, naar welke gaat jou voorkeur uit? 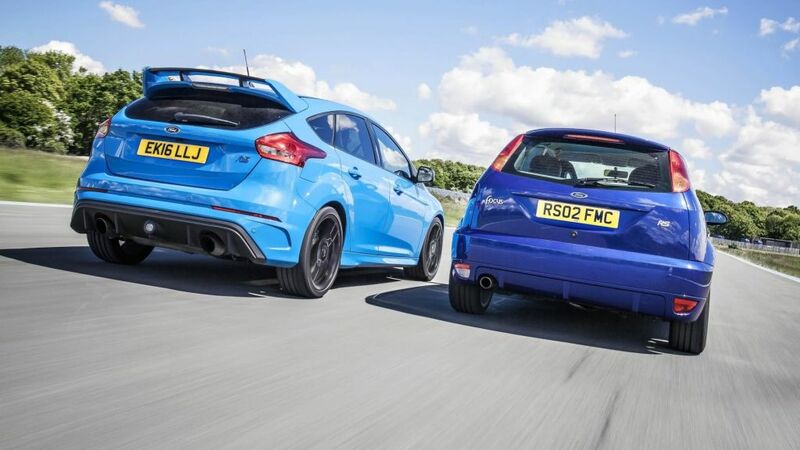 TG charts the evolution of the Focus RS. Which wins in your book? 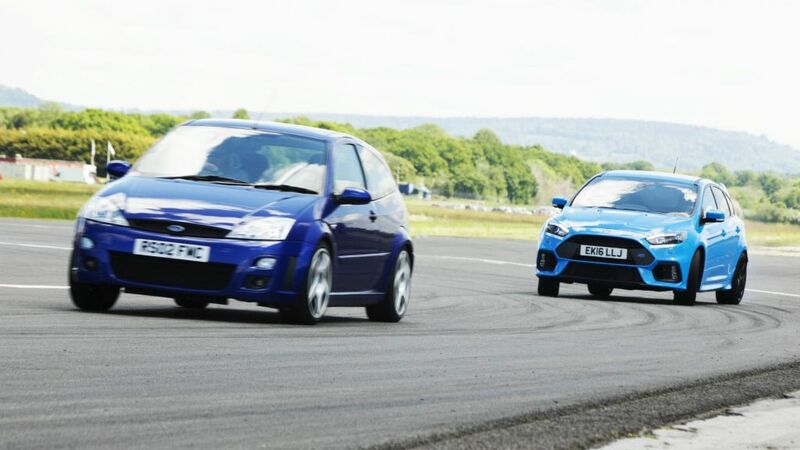 When Ford first fixed an RS badge to the back of a Focus, I was too young to drive, but I remember the furore. And with my parents’ Focus 1.6 Zetec out on the driveway, I felt sorry for its tricked-up 212bhp relation. I yearned for that halo car to be a blinder. The RS was as divisive as the Honda Civic Type R is now – ironically a car built on identical ingredients. Putting 212bhp through the front wheels in 2002 seemed very irresponsible, in a time when the Imprezas and Evos were deploying 4×4. AWD was, after all, what WRC-touting Ford had promised. Instead, we got a Torsen mechanical diff, and infamous torque steer. The RS’s front axle was hyper-sensitive to set-up and tyre wear. Microscopic discrepancies in toe-in or camber made two seemingly identical Focus RSs behave like unrelated machines; some ultra-pointy and sorted, others powerless to resist chasing a camber, like a determined hound after a fox. How quaint that 212bhp power output now seems (a Fiesta ST200 matches it, with little if any unruly front-axle japes). Funny how a 4cyl turbo, mechanical diff and proper manual has become the template of choice for modern hot-hatch royalty like RenaultSport’s Megane Trophy, the Seat Leon Cupra and yes, that banzai Civic. Ford was onto something, ten years ahead of time. Ironic too that after upping the ante last time out by shoving 301bhp of 5cyl turbo mayhem through diff-adjoined front wheels, the new Focus RS sends power to the rear too. Seventy per cent of it, if necessary. You know all about this car already – the trick clutch packs, the Drift Mode, and the addictive, liberty-threatening ease with which it’ll allow novice pilots to carve out Michelin-smearing powerslides. It’s arrived into a diverse, fiendishly talented battlefield of AWD hot hatches, some with more power, plenty with cooler badges, and by deploying a genuinely innovative piece of chassis technology, changed the game overnight. No one wants to hear about how complete, how superb a Volkswagen Golf R or the revised Mercedes-AMG A45 is any more. Because they won’t drift, will they? End of discussion. According to the internet, at least. These cars don’t share a component beyond valve caps, but it’s funny how old habits die hard when you climb aboard. And I do mean climb. Both house lairy seats mounted absurdly high in the chassis, both feel horribly unnatural on first impression. At least the current one has dialled down the blue flashes inside. In the MkI, you twist the key in the lightly sprung barrel, dip the short-travel clutch and prod an unlabelled green button on the centre tunnel to start the motor. The turbo blows hoarsely, and frankly it doesn’t feel fast, despite a huge weight advantage. Still wrestles the wheel from your clenched palms, though. The long-throw gearchange is tactile if a tad vague, and though the MkI feels poundingly stiff on the road, it leans like you’d expect an eco Fiesta to on circuit. Damping has come so far – the modern RS’s two-way adaptive dampers have far crisper control. In every parameter besides styling, the gobby new whale shark has moved the game on light years. 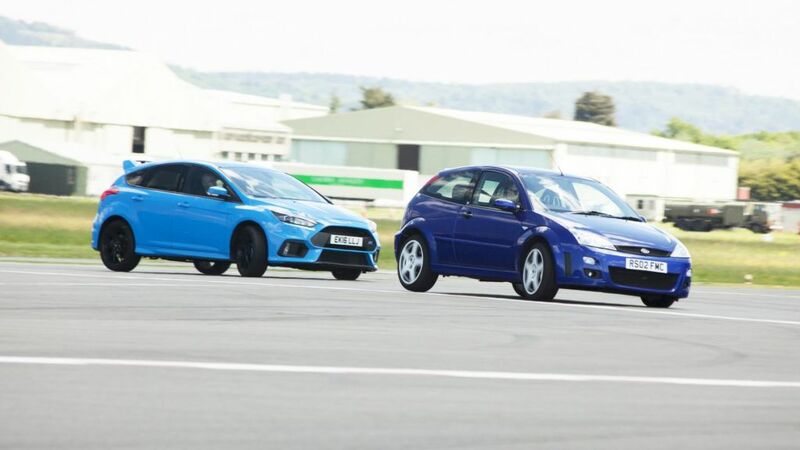 Don’t be surprised if, just like the first Focus RS, its grandson has ignited a trend the entire fraternity will follow. 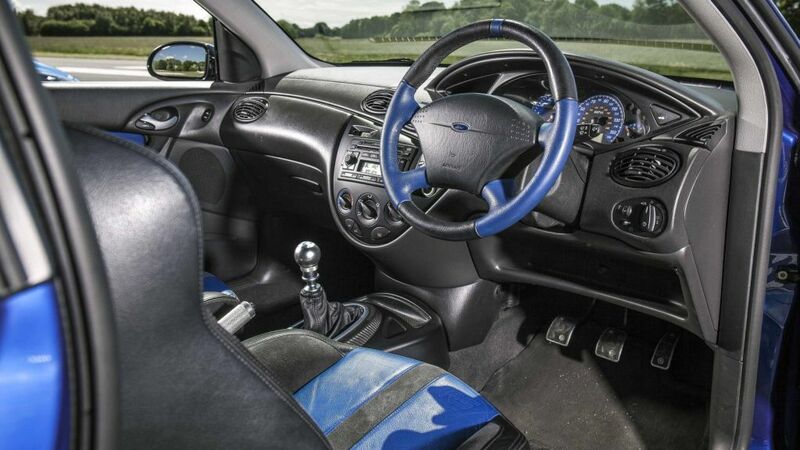 Een sportieve Ford Focus ST Sedan, bestaat dat?